Slate – Long lasting, like for a hundred years, and very durable, but heavy. You must have the proper truss strength to support this material. Clay or Concrete tiles – Similar to slate, durable but heavy. Also like slate, upkeep is mainly defined by finding a talented and knowledgeable craftsman to replace broken tiles when needed. There is no denying the design element this material brings to a Sunbelt or Mediterranean house plan. Metal – Long lasting. We aren’t talking about grandpa’s corrugated roof that directed water into the cistern, although we could. And we aren’t talking about copper, although we should as it is in a premium class of its own, and has been accused of perfection. New designs in metal roofing are attractive, energy efficient, fire resistant and mimic other materials. It must be installed by a trained professional. It blends nicely with most Country-style homes. Wood – Wood shingles and shakes are durable and blend well with many home designs. However, be sure to check with building codes as they are not desirable in fire prone areas. Asphalt/Composite – There is no shame is using the most affordable and popular of roofing materials, even though it must be replaced more often. 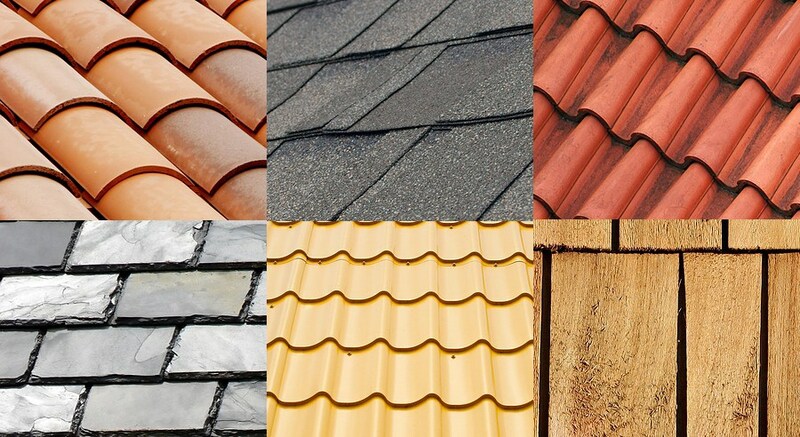 Nowadays, warranties are available for over 35 years, some as high as 50 years when it comes to asphalt shingles. Choices of colors and styles are numerous. These materials are light, relatively less expensive than the other options. For further information, regarding wind damage roof repair contact the National Roofers Contractors Association, a nonprofit trade group that represents all aspects of the industry.